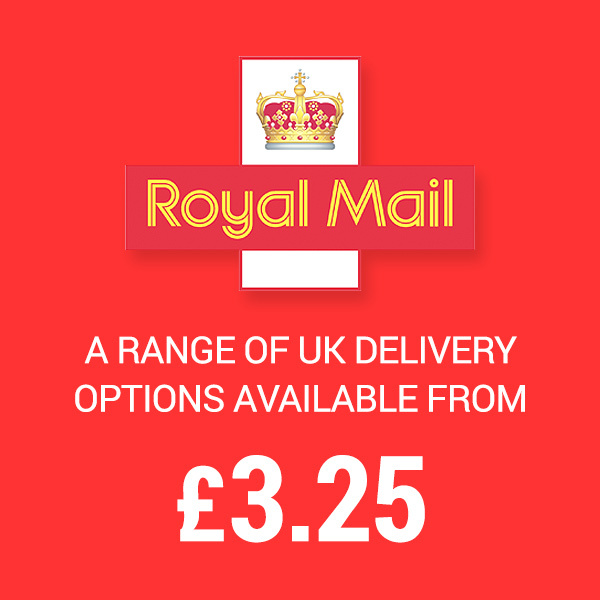 Your order will be despatched via Royal Mail if either Tracked 24® or Tracked 48® delivery has been selected, if you order by 4.30pm Monday to Friday we aim to despatch it the same day. If you need your order fast, for an MOT or a holiday for example we highly recommend you select either Royal Mail Tracked 24® or Special Delivery services. £3.25 per order for any amount of wiper blades or accessories. £4.25 per order for any amount of wiper blades or accessories. £8.40 per order for any amount of wiper blades or accessories. Delivery by 5.30pm the next working day to post codes: AB30-56, IV21-28, IV40,IV52, IV54, KW1-14, PA28-38, PH15, 17-26, PH31-40, PH49-50, HS1, HS3-9, IV41-51, IV55-56, KA27-28, PA20 (0-9), PA41-49, PA60, PA77, KW15, KW16 (Stromness Town only), GY9 (Alderney), ZE1 (Lerwick), HS3. Delivery after two working days by 5.30pm for post codes: GY1 3 (Herm), GY10 (Sark), HS2, PA61-75, PA78, ZE2-3. Delivery after three working days by 5.30pm on the third working day to post codes: KW16-17, PH30, PH41-44. 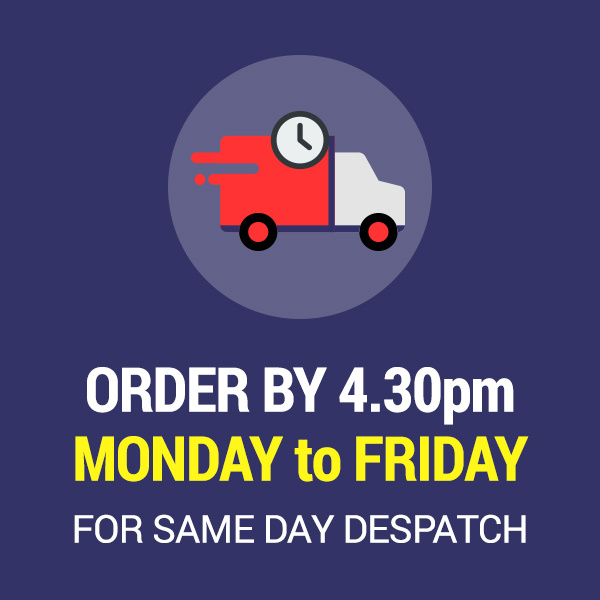 Please Note: Special Delivery Orders placed after 4.30pm on a Friday & over the weekend will be despatched on a Monday. Special Delivery Services are not Guaranteed over Bank Holidays. Tracked 24 & Tracked 48 Delivery Services are not guaranteed. Air Mail Tracked* (Average 5-7 Working Days) £8.95 for the first blade and £2.60 for each additional blade or product. Air Mail Tracked* (Average 3-6 Working Days) £7.65 for the first blade and £2.60 for each additional blade or product. Air Mail Tracked & Signed* (Average 5-7 Working Days) £9.45 for the first blade and £2.60 for each additional blade or product. Air Mail Tracked & Signed* (Average 3-6 Working Days) £7.95 for the first blade and £2.60 for each additional blade or product. Air Mail Tracked* (Average 3-6 Working Days) £8.95 for the first blade and £2.60 for each additional blade or product. Air Mail Tracked* (Average 5-7 Working Days £8.95 for the first blade and £2.60 for each additional blade or product. Air Mail Signed For (Average 3-6 Working Days) £8.65 for the first blade and £2.60 for each additional blade or product. *Air Mail Tracked offers tracking at five points after despatch as well as an online confirmation of delivery. PLEASE NOTE: ALL SPECIFIC FIT BLADES WE SELL ARE FOR UK RIGHT HAND DRIVE VEHICLES & WE CANNOT DESPATCH WIPER BLADES 80cm & OVER IN LENGTH TO OVERSEAS DESTINATIONS.